Gripping your golf club has never been easier than with the Bionic AquaGrip Glove and it has been made using the very best materials and manufacturing processes and can often last between 2-3 times longer than traditional gloves, which represents great value for money. Anatomical relief pads on the Bionic AquaGrip Glove have been designed by an orthopedic hand surgeon to help prevent the clubface from twisting at the moment of contact and increase swing speed. This gives improved accuracy and greater distance. 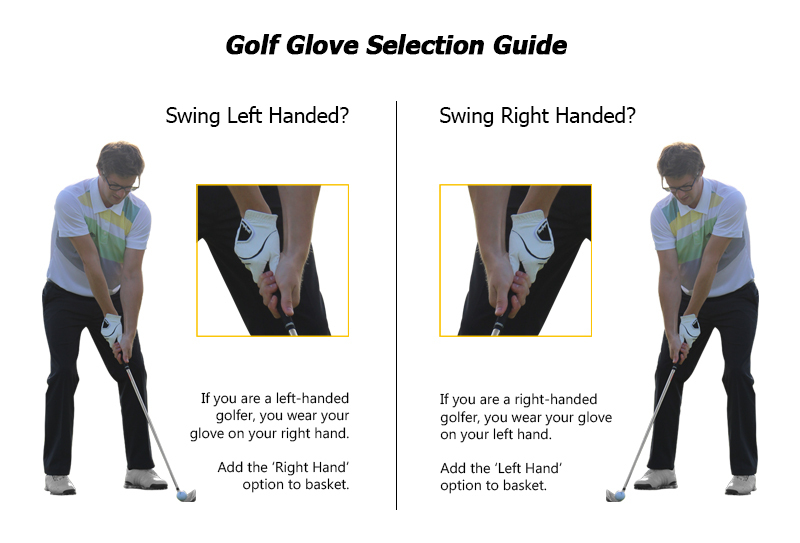 Then motion zones over the knuckles and web zones between the fingers promote natural movement and help hands 'breathe'. The pre-rotated finger design and lycra motion / web zones make this one of the most comfortable gloves that you will ever wear. The velcro fastening for easy on/off has Bionic branding and the Bionic Golf AquaGrip Glove can be hand or machine washed (mild detergent, cold water, gentle cycle, no bleach, air dry), which will enhance the durability. 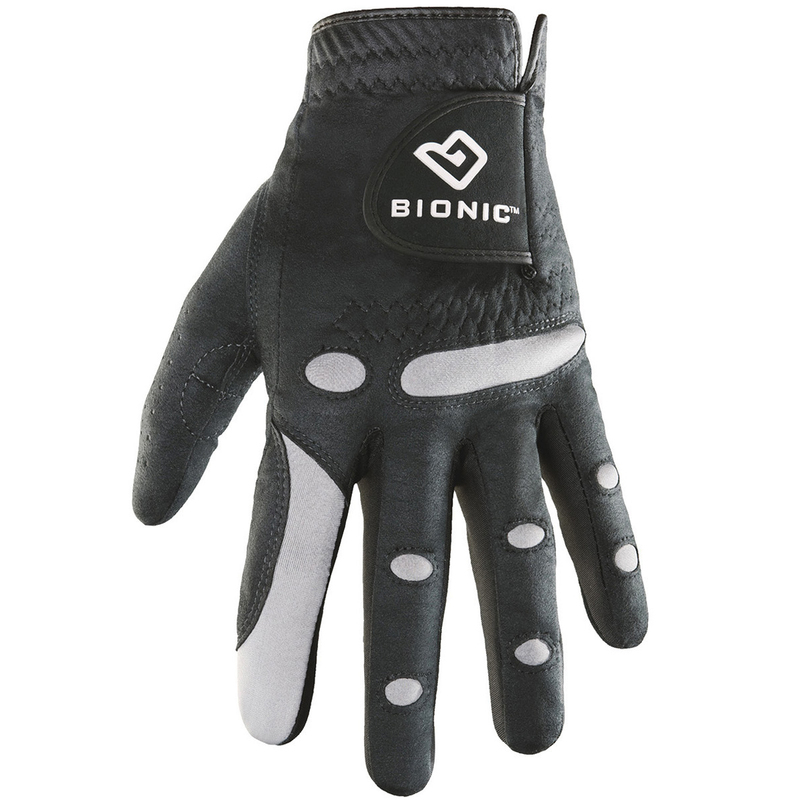 The Bionic AquaGrip Glove has all of the outstanding design characteristics that the StableGrip glove features along with fantastic durability. The glove is made out of a suede microfiber which actually performs better in wet conditions and is perfect for the typical British Summer! 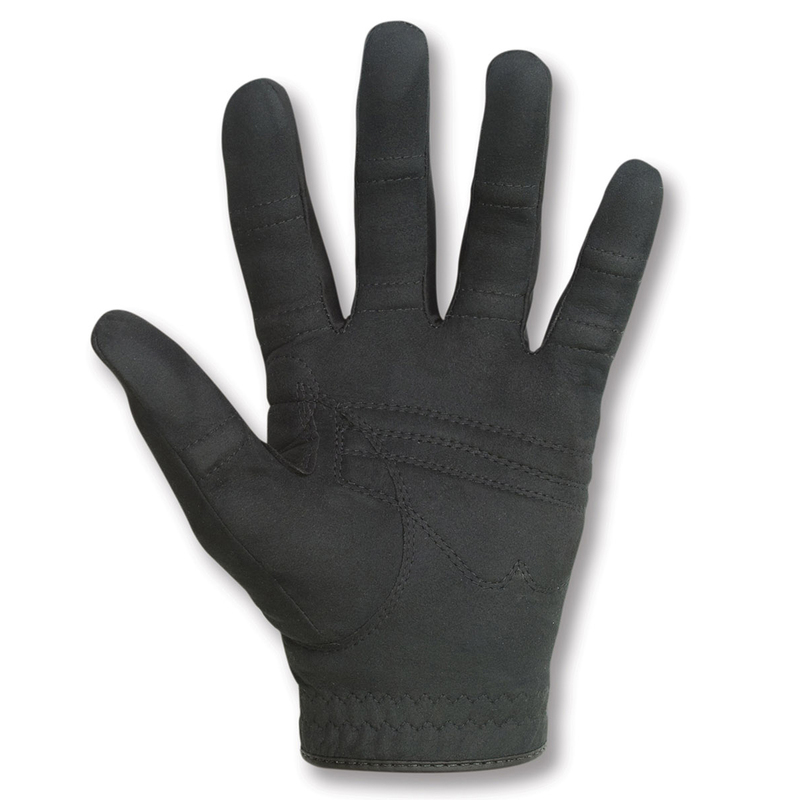 “Refrain from oversaturating your glove with moisture. Perspiration or salt on the surface of your glove will cause it to break down. Don’t use your cabretta leather glove as a towel. Air out your glove in between rounds. After a game, wash the dirt and grit from your glove on a delicate cycle or by hand. Never dry your glove with a drying machine. Air dry only. Use leather conditioner after drying to maintain your glove’s flexibility.